The Maine senator recounts being in Beirut when a pair of suicide bombers killed eight people downtown. 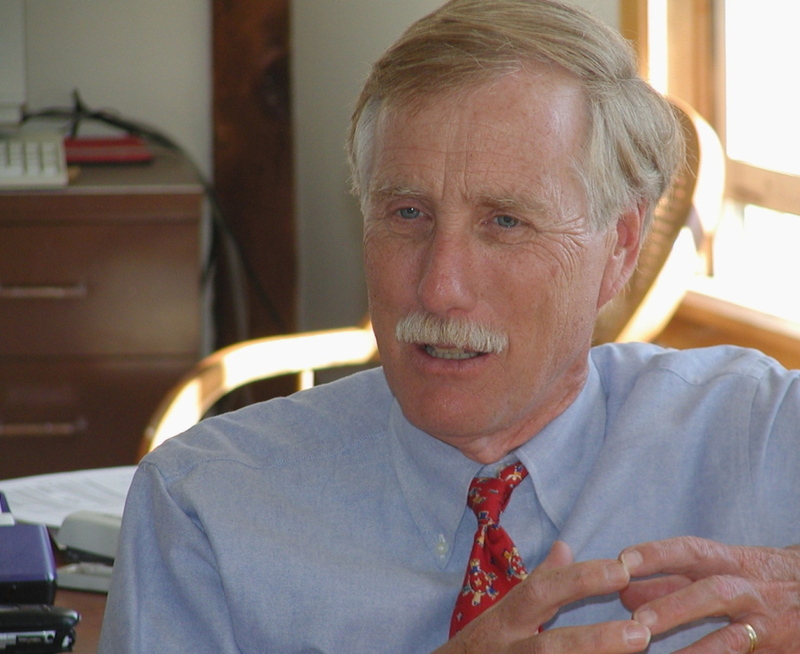 PORTLAND — Sen. Angus King said it was unnerving to be in Lebanon when a pair of suicide bombs killed eight people, underscoring how turmoil from the civil war in Syria was spilling into the country. He and Sen. Tim Kaine of Virginia had been near the location in downtown Beirut where the bombs detonated the day before. An al-Qaida-linked group claimed responsibility, saying the attack was retaliation for Hezbollah’s involvement in the Syrian war alongside President Bashar Assad’s forces. “I’m afraid it’s not going to get better in the immediate future. And of course the only long-term solution is a cease-fire and ultimately a political settlement in Syria,” King said. King, who returned home Thursday, said he visited Israel and the West Bank to discuss Palestinian-Israeli peace prospects, and to Lebanon to talk about U.S. humanitarian assistance to help deal with the influx of refugees from Syria. He also talked with Israeli officials about Iran’s nuclear program. He said that during visits with Palestinian leaders in the West Bank and with Israeli leaders including Prime Minister Benjamin Netanyahu that he got a sense that people want peace. The Palestinians, in particular, are appreciative of Secretary of State John Kerry’s continuing efforts, he said. “People are tired of the tension and the fighting and the insecurity and seem to want an agreement. Having said that, that’s a long way from getting there,” King said. On Iran, Israeli officials remain frustrated that the U.S. engaged Iran in negotiations over its nuclear program. “Our comment to them was, ‘Look, the deal is being negotiated whether you agree that the timing is right. It is what it is. Help to make the best deal possible,’” he said. In Lebanon, the country of 4.5 million people is struggling with the influx of nearly 1 million refugees from the civil war in Syria. It has caused economic problems and has hurt tourism. Officials in Beirut didn’t provide a clear consensus on what the U.S. could do to help. Some wanted a more active U.S. role, while others didn’t, King said. “It’s one of the most complex situations I’ve ever seen. There are no good options,” King said. The independent senator said he didn’t bargain on the suicide bombing in Beirut and said he was astonished that a day later that business seemed to go on as usual for residents of the capital city. The president, who was receiving briefings on a pair of cellphones, met with the senators despite the crisis. “If this happened in Washington, the whole place would be shut down. So I guess you can get used to anything, even if it’s terror. I never want to be in that position,” he said.